Here is a tip for shooting some interesting photos if you are visiting Zaragoza and have some time left to explore also the surrounding area. 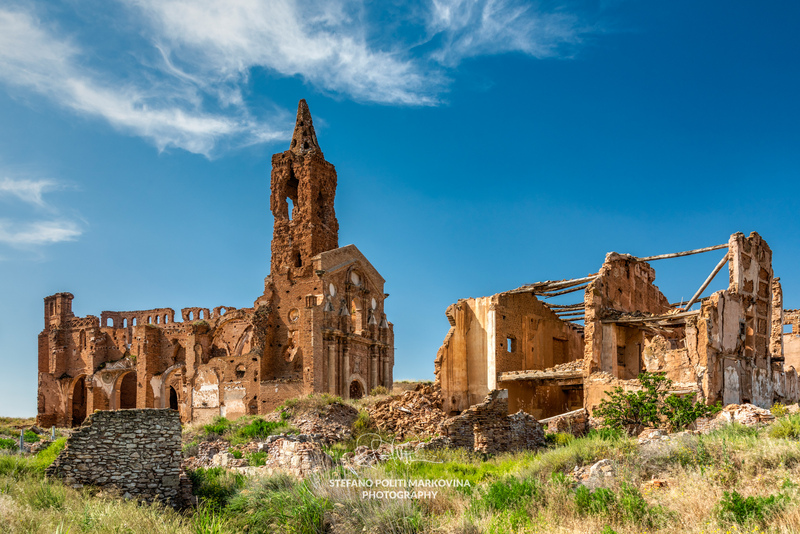 Head, by bus or your own car, to the abandoned village of Belchite, located some 50 km south of the Aragon’s capital. Belchite was the location of a sadly known battle that took place in 1937 during the Spanish Civil War. The Battle of Belchite was fought by Spanish Republicans, who represented the democratic government set in Spain just a few years before and the Nationalist rebels run by Francisco Franco.